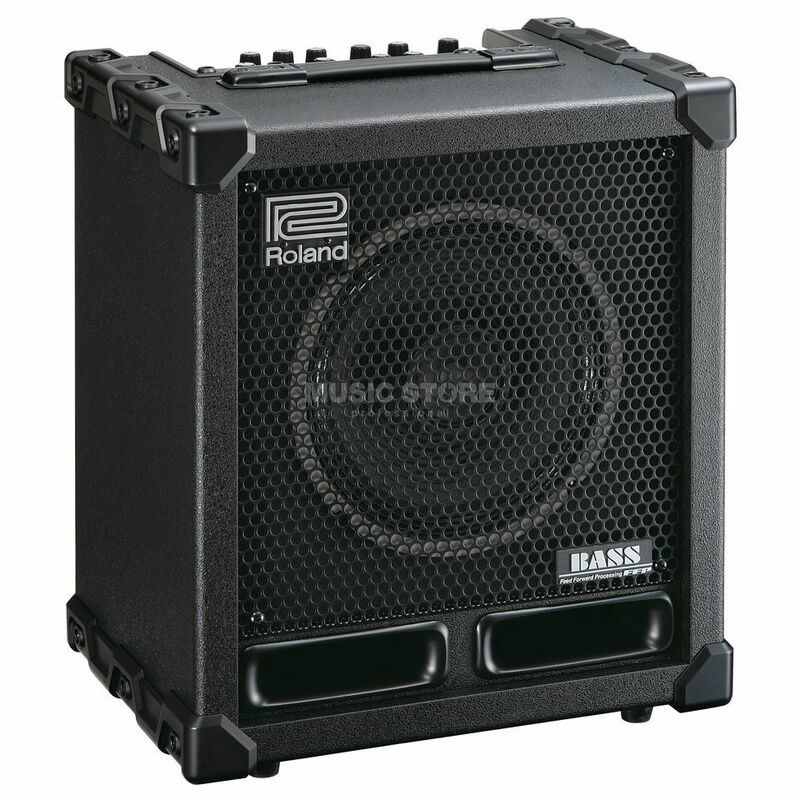 The Roland Cube-60XL Bass produces an incredibly deep, loud and transparent sound. Thanks to the specially developed Air Flow Bass reflex system, this 60W Combo delivers an amazingly mature bass sound with a stable low foundation despite its compact dimensions. 8x COSM models, based on the most popular Bass amplifiers of the past 60 years, deliver a broad sound spectrum that can be enriched with the integrated effects if required. The integrated Looper offers the possibility to record and play back licks and riffs for accompaniment. A special feature is the solo function, which allows the storage and direct recall of specific sound. In addition, the Roland Cube-60XL is equipped with a balanced DI output, which makes it much easier to pick up the combos on stage or during recording. A combined headphone/recording output and a line output are also available.